2019 is here! That means getting started on your goals for this new year. An estimated 20 million people are expected to enroll in colleges in 2019 – 2020. The best time to plan your application and get ahead of the competition is now! And the best way to get ahead? Hiring an admissions consultant. Here are the top reasons why you need an admissions consultant this new year! When you submit applications to colleges, you’re expecting a complete stranger on the admissions committee to gel with your story so well that they offer you admission. Yet, you only ask people you already know for help reviewing your application. How do you expect to anticipate what an outsider will think of your story? There’s a mismatch between your preparation and what is truly admired by admissions committees. After all, you only have 12 minutes to make an impression. That means you need to package your life story into 12 minutes to impress the admissions committee and stand out from thousands of other applicants. Sounds like help would be useful! Hiring an outside perspective to start the new year can put you ahead of the game by catching pitfalls early-on. With years of experience in editing essays and interfacing with admissions professionals, companies like Write Track Admissions know exactly how to guarantee your application will stand out quickly. With applications increasing and admissions rates dropping, it is becoming more and more common to use an admissions consultant. Estimates range from around 26% to 35% of applicants use a consultant, while roughly 90% have their applications fully reviewed before submitting them. Can you afford to miss out? Admissions data has shown that starting early increases chances of admission by 10 times compared to last minute applications. 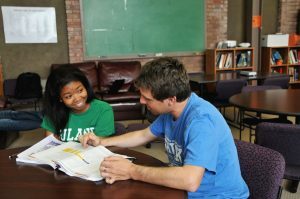 Starting out the new year by seeking help can give you plenty of time to craft a story, understand the application process inside-and-out, and get noticed by admissions committees. An admissions consultant will lay out a roadmap to follow so you are way ahead of deadlines, instead of getting distracted or revising your applications aimlessly. If you think starting in January is too early for Fall 2019 applications… think again: some high school students are hiring consultants as early as 10th grade to get ahead! Even if you consider yourself a good writer, remember that admissions committees often have just 12 minutes for your ENTIRE application, which means much less for individual essays. Are you good enough to leave an impact in such a short timeframe? Hiring outside help can give your writing the panache it needs to showcase your achievements and stand out. If you’re not sure how to ‘humble brag’ about yourself while writing an interesting application, it’s best to get help early. You need to figure out what additional experiences or achievements you want to pursue before college deadlines so your application can be the best it possibly can be. Any other option is simply selling yourself short! If you’ve understood the urgency for hiring an admissions consultant and getting started on your applications, it’s time to start a roadmap to success. Remember to think about your application in terms of a pie chart: which parts need the most work in the new year? Which parts do you think are good already, but could be better? Stay tuned for another blog piece about planning out your application in 2019! If you’re ready to plan out your road to success with an admissions consultant, contact Write Track Admissions today!